Welcome to my web site and my Art-Posts. I will use these posts to tell you about myself, my artwork, and also to share what I love about art. I will be posting art lessons on these pages, so stay tuned. But for now I am on the road enjoying the wonderful western landscape heading toward the Pacific Northwest and visiting Victoria, BC. 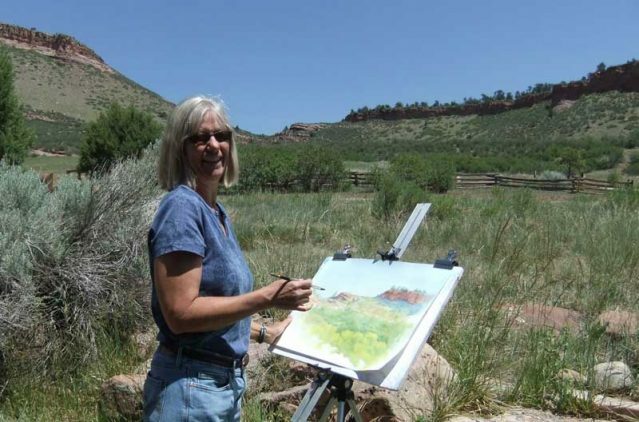 But when I get back to Colorado, I will help lead a plein air group with Lydia Pottoff at the Dawson Open Space property outside of Boulder on June 11. For more information go to their web site: Outdoor Creations Plein Air Art Show. Or contact me for more information. This entry was posted in Out & About and tagged Hall Ranch, Joan Wolbier, painting, plein air, watercolor on April 26, 2016 by joanalicewolbier.